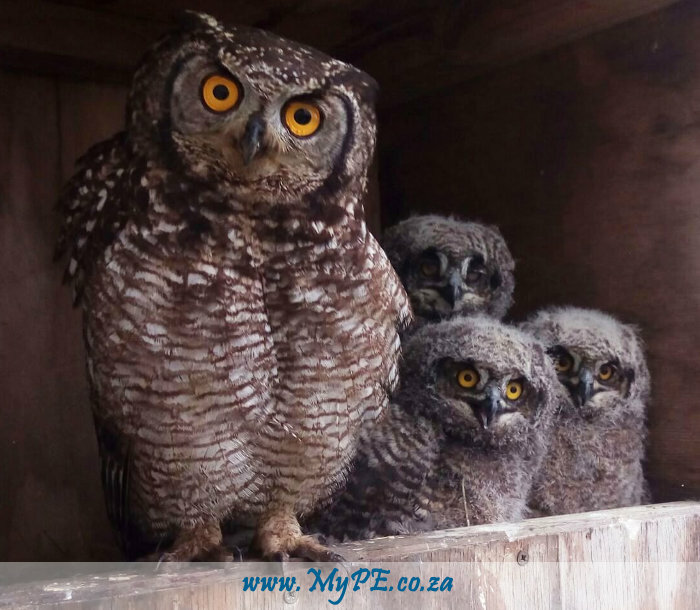 You are here: Home / Business / The Only Port with Green Status in SA is …..
Natural predators such as owls are deployed in strategic areas around the port for poison free rodent control. Transnet National Ports Authority’s (TNPA) Port of Ngqura is the only port with a green status in the South African port system. “In our view it means that it is the only port that was subjected to environmental legislation during its entire development, operation and will be during its future development,” said Mandilakhe Mdodana, Environmental Manager. How is the port maintaining this status? We preserve of the most sensitive and threatened vegetation types in SA, namely Bontveld and Messic Succulent Thicket that are found within the port. These vegetation provide habitat for a number of endemic species. The areas are identified in line with the Coega Development Corporation’s open space management plan – therefore development within these areas is not encouraged. Fish monitoring, which started prior to construction, is still ongoing. It is conducted by a team of researchers under the Bayworld Centre for Research and Education led by Dr Matt Dicken. This tag and release programme is recognised by the Oceanographic Research Institute. The research is aimed at investigating the composition and abundance of fish. The most recent results are indicating that the port is serving as a nursery for fish and gully sharks. This is attributed to the good water quality within the port and the calm sheltered environment provided by the port infrastructure. Prior to any construction in the port a search and rescue exercise is conducted, which is aimed at identifying plants and animals that needs to be rescued. Recently, the port had to relocate a number of endemic pigmy hairy footed gerbils (Gerbillurus paeba), to ensure that they were not negatively impacted by the construction of the Admin Craft Basin.